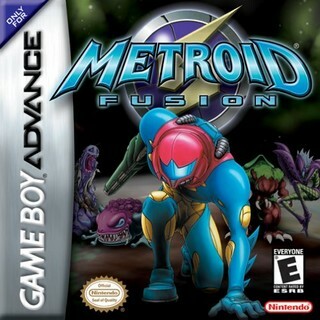 Metroid Fusion was arguably one of the must-have action games for the Game Boy Advance. It was also my very first experience playing a Metroid game, and made me a die-hard fan of the series. Metroid Fusion is one of the few games in the series that actually aimed to tell a narrative story via text and short, animated cut-scenes, something new to the series. Tie that story in with the gameplay, and you truly have something special. Fusion was developed by the same people who made Super Metroid for the Super Nintendo Entertainment system. These developers wanted to create an all-new Metroid experience, instead of just a simple re-hash of previous games. So enter Metroid Fusion. In the Metroid storyline, this is the last game in the whole series. So, Samus has been sent back to planet SR388 (the same planet on which Samus found and destroyed all of the remaining Metroids except for one) however, she encounters a new organism, the X parasite, and it nearly killed her, as she lost consciousness and crashed her ship in an asteroid belt. Luckily, the Space Federation was able to recover her and save her life with the last bit of Metroid DNA. This new DNA fused with Samus', and as a result, she is now part Metroid, sporting an entirely new suit design. Over the course of the game, Samus will investigate and find out what is truly going on within the darkest depths of the research station. This is definitely one of those Metroid games that focuses more on the storytelling, but that does not mean that the gameplay suffered at all. In fact, players ended up getting a rather difficult and long journey, clocking in at least eight hours of gameplay on the first playthrough. The gameplay is typically classic Metroid, but with a few twists. The game no longer leaves the player a massive world to explore and has them figure out what to do. Instead, Samus' new ship's on-board computer gives the player various objectives to complete. It is all up to the player on how they reach their objective. At first, the game is going to feel very linear, which is a good way for newcomers to learn the basics. Over the course of the game, Samus will obtain and learn new abilities. The more abilities Samus has, the more places that she can go, which means that players will be more free to explore the further they get into the game. The other new change is the fact that Samus is now part Metroid. So, she is faced with many new challenges as a result. She can no longer tolerate the cold, which is the Metroid's biggest and most fatal weakness. The Metroid's weakness is what drives fear into the player. Samus was close to death, and she barely had time to recover. She is weak, and she faces a powerful adversary: the SA-X, an X parasite that absorbed Samus' old suit and reanimated it. The SA-X is definitely a foe to fear, as for a majority of the game, all the player can do is just run from it. And the SA-X is no pushover, possessing Samus' old Ice Beam, which can destroy her energy reserves in a matter of seconds. This causes the player to fear this new enemy all the way to the very end of the game. This fear is something that follows the player, and it is not exactly centered around the SA-X. The whole research station is becoming more and more unstable as the game progresses. So who knows what dangers lie behind every screen? Environments that the player once knew were fine before, but the next time they visit, it could be a pile of ruins. These changes mixed with the fear that slowly becomes confidence is what made the game come to life. It is what kept the player connected to it. Who knew something so complicated came out of a game in a small cartridge? All in all, it was a blast to re-visit my favorite GBA game and watch as the memories came flowing back. Christmas weekend, going in a complete Metroid frenzy (which is now a tradition of mine that I follow each year) and playing anything Metroid that I could. Metroid Fusion was truly a masterpiece in the Metroid universe, and in the GBA world.